The town’s symbolic Firewatch Tower is only a 4 minute walk away from our dental office. For those who enjoy hiking, the forests of Lővérek and the Forest Park of Sopron are ideal destinations. Those who prefer culture can enjoy a good time at the Storno House, the Kecske Church or the Harrer chocolate factory. If you are interested in wine specialities, you can choose from the selection of famous wine cellars. If you prefer a lighter wine tasting program, you can become familiar with the local specialties during the Tractor Party wine tour. We can admire the town of Sopron from the top of the 58-meter high Firewatch Tower built in the baroque era. The guards of the Tower had numerous tasks. They kept lookouts for potential pockets of fire and warned inhabitants immediately when they noticed foreign soldiers. They also had special responsibilities at weddings, funerals and town festivals. They provided music and signalled the passing of the time every 15 minutes with a flourish of trumpets. Lővérek was built in the 13th century on the slopes of Sopron, where riflemen were protecting the city from intruders. Today, in the area of the Lővérek there is a huge holiday resort with several sights. Here we can find the Károly lookout tower which is the most popular relaxing place in Sopron. From its two-level terrace there is a wonderful panorama of the city. If we need a little rest, we can admire the wonderful flora of the Elisabeth and Botanic Gardens. If we still have energy left in us, we can go for a swim in the Lővér swimming pool. The almost 2400 acres of green area offers programs for several days for the lovers of active holidays. Visitors to the area will find 369 kilometres of marked tourist routes, nine lookout towers, numerous wells and monuments. If you like horses, you can take part in organized horseback riding trips. Cyclists should try out the MTB tracks, while those who simply want to get a workout and a lot of fresh air can do the activities suggested along the forest’s workout course. In the town of Sopron there are several churches, museums and monuments to visit. Keep your eyes open as you can spot many monuments even in the surroundings of the clinic. We can take a look into the former house of Ferenc Storno, Sr. and admire his work during a visit to the museum. As a young man, he was trained to become a chimney sweeper. For a while he even worked in this profession. After his talent was recognized, he turned to painting, as well as excavating monuments and doing restoration work. Besides his own works of art, he and his family acquired a significant private collection which we can also see at the exhibition. It’s one of Sopron’s best known churches. The church was built in 1280 by Franciscan monks. Presumably it got its name after the goat you can see on the coat of arms of the family that restored the church in the 15th century. Several historical events took place in this church. It even hosted coronations and national assemblies. The Harrer Chocolate Factory was opened for the public in 2009. You can take part in a special factory visit which gives you an insight to the procedure of chocolate making. You can even taste the chocolate at different stages of the production. At the end of the visit you can spend time in a cosy confectionery belonging to the factory, where you can try out even more delicacies. The town’s geographical features favour grape growing, and high-quality grapes turn into high-quality wine. 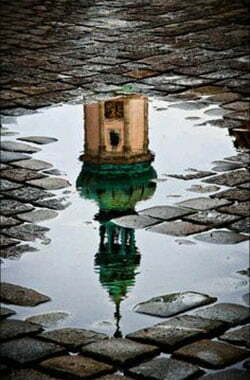 The Sopron wine region is a historical wine region of Hungary. The tradition of grape growing dates back to the Roman times. Roman times? Yes, the history of Sopron started in the Roman Empire as a town called Scarbantia. In fact, what today is West Hungary, in Roman times used to be an eastern province of the Empire with the name Pannonia. 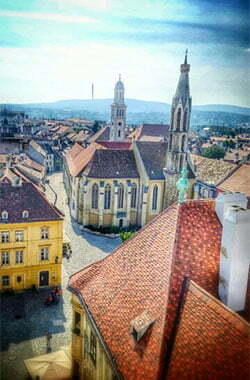 Since 1993, Sopron has been the host of one of the best known popular music festivals in Hungary. Notable local and foreign musicians of numerous genres perform at the festival. It lasts for 5 days and it starts at the end of June or in the beginning of July.